Home » Heathere » Pictures » A Trip to Japan? Sorry for SUCH a long delay... I finally realized I saved it in the wrong format. Yes. That's supposed to be Lucario up there. :D...A little too less Pikachus perhaps? But.. He... kinda went distorted. 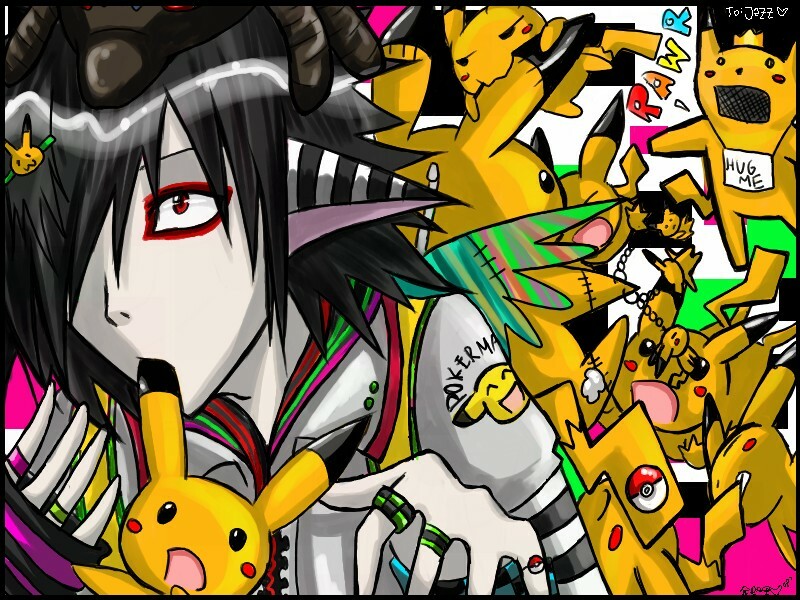 It's a freaky Pika' universe! And I like it! *puts thumb in mouth* nyaaaaa! so cute! I LOVE THE DETAILS AND HIS FACE AND THE PIKACHU'S AND EVERYTHING! I love the Pikachu that's biting the other Pikachu's ear! He sort of reminded me of L at first.